When decorating your home, your passions in the world must shine through! 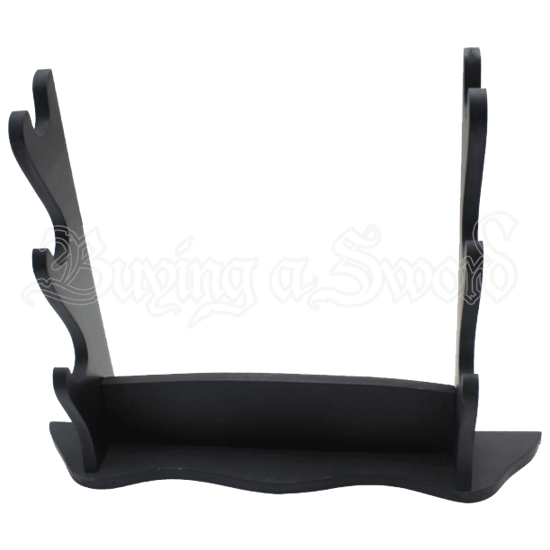 The Triple Sword Table Top Stand provides an excellent way to display your love of oriental weaponry in an elegant piece that honors ancient Japanese design! 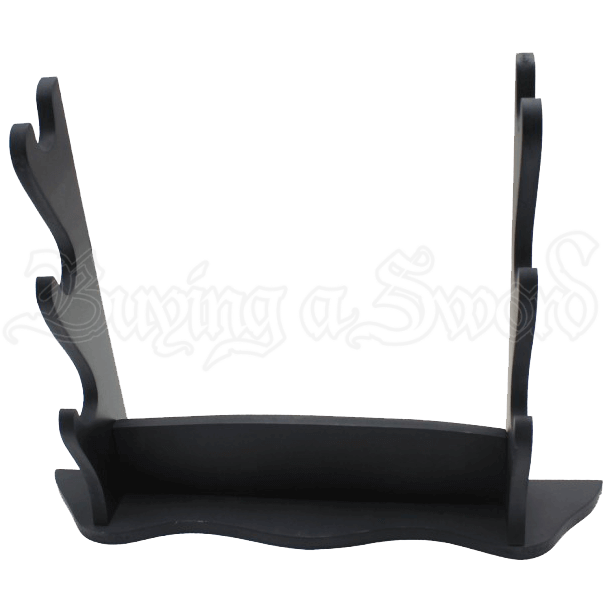 Crafted from rich hardwood, this classic sword stand hosts a rich black color that accentuates the gentle curves and sharp lines it possesses. Designed to stand freely upon a table, this Oriental sword rack offers a timeless way to display three weapons of your choice in a way that brings honor to your love of Japanese culture! Show off your favorite combination of traditional Japanese weaponry or other artillery on the Triple Sword Table Top Stand, the ideal piece for bringing the Orient into your home! Measurements unavailable at this time.